All through its history the Order has been associated with leprosy, and has concentrated on the treatment and rehabilitation of leprosy sufferers – and it continues to do so. However, the impression amongst the general public is that leprosy no longer needs much help or support. Why is this? Leprosy is a bacterial disease, its bacillus being closely related to that which causes tuberculosis. The leprosy bacillus grows extremely slowly, dividing only once about every 14 days, so the incubation period of the disease is very long; the treatment is concomitantly slow, and determining whether a patient is cured of leprosy may well take as many years as to decide that a patient is cured of cancer, or even longer. When the first really cheap and effective treatment for leprosy was introduced in 1946, no relapse cases were observed for about 10-15 years. When these appeared they were shown to be the result of specific drug resistance, the drug having been administered on its own. However, in 1980, after extensive research, a modern multi-drug treatment was devised which appeared to rule out any drug resistance, provided the drugs in the new treatment were taken properly. Proper drug administration, however, is far from easy to guarantee, given the conditions in which most leprosy patients live: in remote villages and, frequently, without motivating encouragement, either to be rigorous about daily treatment or to attend clinics regularly. But more than that, in the worst cases of leprosy, where the body has no effective immunological defence, the skin provides the perfect culture medium for the leprosy bacilli, which can be there in billions. Where bacilli are present in such numbers in the skin and in the peripheral nerves it is not surprising that some of them are 'asleep' (i.e. not responsive to the drugs). It is thus uncertain for how long treatment needs to be administered to ensure a cure in the severest types of leprosy. Unfortunately, the treatment instituted in 1980 has been so successful, and so many Ministries of Health are unpopular with governments because of the sums of money they need to spend, that it is not surprising governments want to reduce the length of treatment. Those involved in devising the multi-drug therapy advise that it be administered for a minimum of two years, and preferably for a much longer period, depending upon how badly infected the patient. But the World Health Organisation (WHO) has gradually been reducing the recommended length of treatment; it is currently one year for severe cases. It would appear, therefore, that the wish is to get as many “cured” patients through their books as possible, relapse cases going unrecorded or being treated as new patients. Because leprosy bacilli are so slowly destroyed in the body their poisons can still cause immunological reactions – inflammation and damage inside nerves, and inside the front of the eye, etc. – years after successful treatment has been completed. Such cases are not being properly looked after. 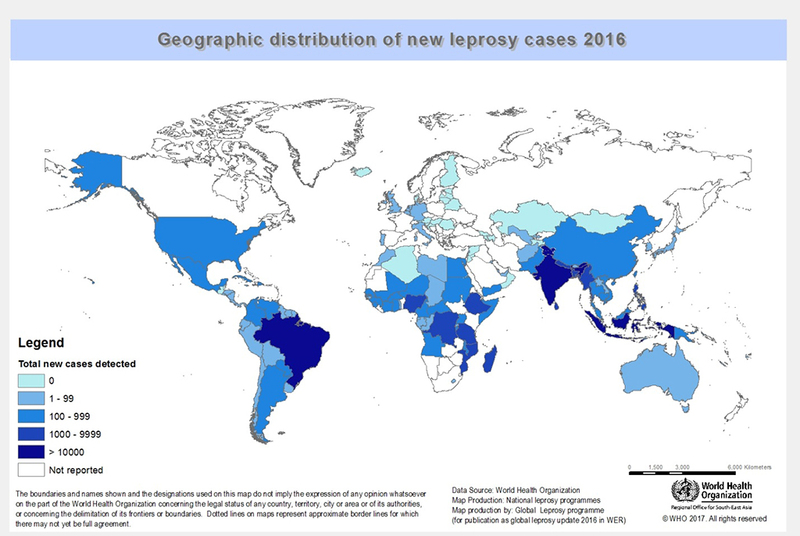 It is for these reasons – the general reduction in the length of multi-drug treatment and the occurrence of immunological reactions – that the Order considers it vital to maintain its support for leprosy charities. You can make a donation to our work in the fight against leprosy via our BT MyDonate page.